The Amazon Rainforest is one of the most extraordinary and important ecosystems on earth, vital for the maintenance of life on the planet as well as for its own hugely diverse animal and plant populations. Staying in lodges in the jungle allows you to explore the pristine natural environment, learn about the variety of plant life and their uses by indigenous people and spot the myriad animal and bird life present. Fishing for piranhas, spotting caiman by torchlight, visiting indigenous communities and searching for pink dolphins on boat trips are some of the fascinating activities available. A boat journey along the Amazon or one of its many tributaries will also allow you to experience life on the waterways which are often the main means of communication and transportation in the region. Visiting riverside settlements, watching the jungle as you glide past and sleeping in a hammock underneath the stars makes for an unforgettable experience. The journey is best taken on a small, traditional two-decked riverboat for a more authentic experience and to allow you to get closer to the rainforest. The eastern part of Ecuador is covered by the western edges of the Amazon rainforest, which stretches over 4000km from here through Brazil to the Atlantic coast, the largest and most bio-diverse tropical rainforest on Earth. Staying in jungle lodges here allows you to explore the rainforest on foot or by boat and learn about the animal and bird species present here and the wide variety of plant life and their traditional medicinal uses. The Peruvian Amazon is part of the vast area of rainforest which covers 5.5 million km² across nine countries. Flying into the small town of Puerto Maldonado in eastern Peru, a boat trip up the Tambopata River will take you to a jungle lodge from where you can explore the rainforest. Home to more than a third of the world�s plant and animal species, the Amazon is probably the most bio-diverse areas on earth. Walks along jungle trails and boat trips offer the chance to view and explore some of these, including the plants used for food and medicine. Animals that may be spotted include monkeys, boars and a myriad of bird species, as well as giant otters and black caiman on the waters. It's also possible to visit some indigenous Indian communities who live in and off the Amazon rainforest. The rainforest of the Amazon Basin extends over vast areas of the north-east of Bolivia. This is a region of enormous biodiversity of flora and fauna, with hundreds of species of birds and butterflies in addition to animals such as shy tapir, jaguar, howler monkey, deer and sloth. 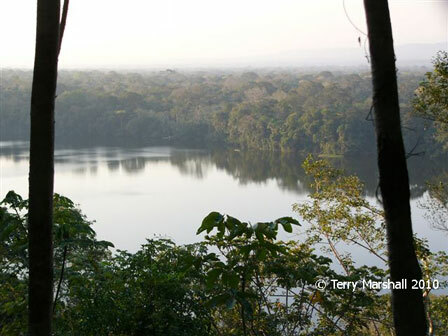 The region includes the protected areas of the Madidi National Park and the Noel Kempff Mercado National Park, the latter a UNESCO World Heritage Site. Staying in jungle lodges, you can explore the Amazon with walks through the rainforest and canoe rides along the rivers, spotting wildlife and learning about the importance and uses of the jungle plants.